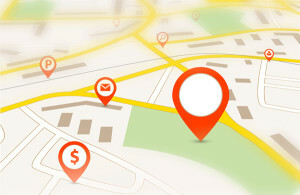 Is Your Agency Showing Up in Local Search? As businesses and customers compete for each other online, local search is becoming an increasingly important part of online marketing. Google My Business Profile – Google My Business is a program that allows you to fill out all of the information about your business. Google uses this information to have a complete understanding of your business and to determine how to rank your agency in the search results. It is best practice to claim your profile and provide accurate information to Google so they’ll your agency in the search results. It is best that you answer every question they ask about your agency with as much details as possible making sure to use keywords you want to rank for. Make sure your business profile is 100% filled out. Previously, this product has been called Google+ and/or Google Places so you might already have a profile setup. If so, make sure it is up to date with all of your information and link to your website, business address, etc. Setup a Places for Bing Profile – Don’t forget about listing your agency with other search engines such as Bing. Bing powers more than 33% of US searches. Bing Places lets you setup your profile for your agency’s information such as location, phone #, link to you website and hours of operation. You should answer all the questions they ask about your agency as completely as possible and you can upload images as well. And that is just the beginning! You should also look into claiming your profile on sites such as Yelp.com, YellowPages, FourSquare, LinkedIn and others. Still Confused or Overwhelmed? Here is how we can help, by setting up your local profiles for you… Let us handle your online business marketing so you can get back to doing what you do best – running your company. Easy to use and quick to learn template-based system. Customize the subpages of your templates or use them as-is. We are redefining the term “Template”. Roughly 80% of all searches are local based. Your website is designed to take advantage of local optimization capabilities for higher rankings on top search engines. Apply localized custom page titles, descriptions, and keywords to optimize your website for consumers’ local searches! Every website is equipped with a “60-Second” quote form to help visitors request their insurance quotes quickly and easily. Studies have shown that a long quote form is rarely filled out. The main goal of your website is to simply have a Consumer contact you to seek out your expert advice. Each website is streamlined for ease of use, by keeping your client’s needs in mind. Never will they struggle to find the information that they need from you! Search engine optimization, or SEO, is a web marketing practice that helps encourage search engines to favor your website over other websites with the same search keywords. By incorporating best practice keyword targeting techniques and a little “white-hat” SEO magic, we can help your website grow through the search ranks so that it gets seen! Pricing for our Search Engine Optimization packages can be determined by your specific budget and location. Check out our price guide or just give us a call to have a marketing specialist assemble an SEO package just for you! Search engine algorithms are getting more and more sophisticated and are constantly moving towards local search in general. The theory behind this is to provide users with more useful results to searches in their area. Makes sense right? We can set up a Local Business Marketing plan for your business to engage more relevant users in your area and to help them find you! Pricing for Local Business Marketing can be determined by your specific budget and location. Check out our price guide or just give us a call to have a marketing specialist assemble an LBM package just for you! At Insurance Web Pros we know you need marketing 24/7 – 365 days a year to succeed. Our expertise extends to much more than the Design and Development of beautiful full featured Agent/Agency websites, we have been marketing Professionals, Businesses and Corporations online for over 15 years. Nothing helps you share news and information about your company so easily and to so many individuals as a web optimized press release. Our releases are distributed to hundreds of news outlets and the Associated Press standard wire. Examples of some outlets that will receive your press release include: The New York Times, The Washington Post, Google and more. Press Release packages range from $695 to $1,995 depending on the content included and the scope of reach. Give us a call today to learn more about our press releases from an IWP marketing specialist! Video is an extremely common form of advertising for businesses to use in engaging their website visitors. In most cases, the average user would rather watch a short video than read long-winded written content. As well, video is search engine optimizable and can pull traffic to your site from other web sources. By offering your content to multiple avenues on the web, you are essentially “casting a big net” and increasing your online exposure! Our video packages include setup on Youtube, search engine optimization for the video upon creation and distribution of your video to over 100 media outlets! Check out our price guide or just give us a call to have a marketing specialist assemble a video package just for you!